I’m sorry to have to report that Ray Grayston died on Thursday 15 April. Grayston was the flight engineer in Les Knight’s Lancaster, AJ-N, the ninth and final aircraft of the first wave of Operation Chastise, tasked with attacking the Möhne and Eder Dams. Five mines had been used at the Möhne before it had been breached, which left only three for the Eder, as Bill Astell had crashed en route. David Shannon and Henry Maudslay dropped their mines but did not break the dam, so Knight’s weapon presented the last chance for success. Like many young men of his generation, Ray Grayston was fascinated by flying and volunteered for the RAF at the beginning of the war. In a TV documentary to mark the 60th anniversary of the Dams Raid he described how he loved riding a motorbike at speed, and that this was one of the things which encouraged him into the air force. Initially he served as ground crew but then, along with many others who were mechanically minded, he was selected to train as a flight engineer on the new generation of heavy bombers which needed more personnel. Like many Lancaster crews of the time, they were from different countries and walks of life. Knight and Kellow were Australians, the gunners were both Canadian and the rest were British. Knight was an exceptional pilot even though, as Grayston later recalled, he couldn’t ride a bicycle or drive a car. They didn’t fly over Germany again until September 1943, four months after the Dams Raid when they were sent out with another new weapon, a 12,000lb ‘thin case’ bomb, to attack the Dortmund Ems canal. It was a terrible night, with heavy fog blanketing the heavily guarded canal. Four of the eight crews who took part had already been shot down when Knight, flying at about 100ft in fog, hit some trees and badly damaged both his port engines. This is one of the stories which Paul Brickhill tells beautifully in his 1951 book, The Dam Busters. With his tailplane and a starboard engine also damaged Knight managed to pull the Lancaster up to about 1,000ft and called his fellow Aussie Mick Martin, who had assumed command after the CO and deputy force head had both come to grief. ‘Two port engines gone. May I have permission to jettison bomb, sir?’ It was the ‘sir’ that got Martin. Quiet little Knight was following the copybook procedure, asking respectful permission to do the only thing that might get him home. The controls were getting worse all the time until, though he had full opposite rudder and aileron on, Knight could not stop her turning to port and it was obvious that he could never fly her home. He ordered his crew to bale out and held the plane steady while they did. When the last man [who was Grayston] had gone he must have tried to do the same himself,and must have known what would happen when he slipped out of his seat. There was perhaps a slight chance of getting clear in time, but as soon as he took pressure off stick and rudder the aircraft flicked on her back and plunged to the ground. Knight did not get to the hatch in time. Grayston told the story again in a History Channel documentary, which you can still see online. He and the other five all landed safely. Three evaded capture but Grayston and O’Brien were captured and spent the rest of the war as PoWs. When the crew survivors met in later life they would toast the memory of the young pilot who had saved their lives. Of the 133 men who took part in the Dams Raid only 48 survived the war. Over the last few years, this has dwindled to a handful and sadly now only Les Munro, George (Johnny) Johnson, Fred Sutherland and Grant MacDonald are still with us. Like them, Grayston had become something of a celebrity in his later years, and was regularly to be found taking part in documentaries, commemorations and signings. On all these occasions he was a model of courtesy, even when he was being asked to sign memorabilia by people only interested in making a profit from it on Ebay. It’s something of a cliché to say that we won’t see the like of his generation again – but in Ray Grayston’s case it is certainly true. 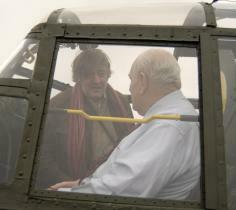 He was looking forward to seeing the remake of the 1955 film, and had been photographed at East Kirkby sitting with writer Stephen Fry in the cockpit of the Lancaster belonging to the Lincolnshire Aviation History Centre. UPDATE: Daily Telegraph news article about Ray Grayston here and a formal obituary here. Early in the morning of 16 Sep 1943 a Lancaster of the RAF crashed in this meadow. The Australian Pilot of the 4-engine bomber – Fl/Lt Leslie Gorden Knight, DSO – was killed after he ordered his seven crewmen to bail out first. He was buried the same day at the “Old Cemetery” in Den Ham. The others landed safely nearby. The two left engines were out, but he pulled up to avoid the disaster of a crash on the village of Den Ham. That night the plane was on a raid targetting a dyke of the Dortmund-Ems canal near Ladbergen. Les Knight and his crew belonged to 617 Squadron and in May 1943 were also one of the “Dambusters”, the famous attack on the Ruhr dams in Germany. This raid took place in very bad weather conditions. The 617 Squadron detachment were using a new thin case 12,000lb bomb, dropped from a very low height. However they failed to damage the canal, and five aircraft were lost. Four complete crews and Les Knight, pilot of the fifth plane, were killed. All the remaining seven of Knight’s crew, including Fred Sutherland, still alive and well in Canada, baled out while Knight struggled to keep his damaged aircraft aloft. 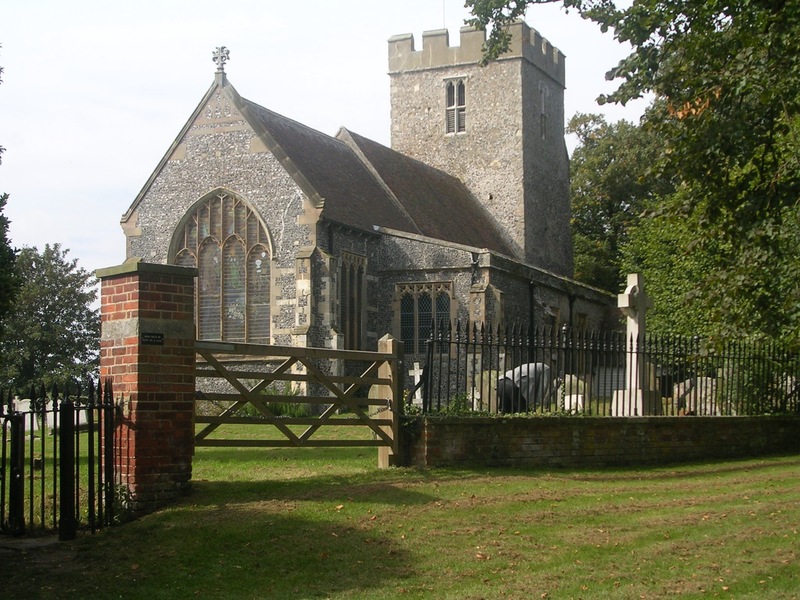 They owe their lives to him, as do people in the village of Den Ham which he managed to avoid when crashing. Wednesday 15 and Thursday 16 September 1943 were dark, dark days in the history of the new 617 Squadron. It was almost exactly four months since its first operation, the raid on the German dams which had made those who took part famous. The squadron was then held back from other operations, apart from a short series of three raids against Italian targets, while RAF top brass decided what to do with it. Then, in late August, a new ‘light case’ 12,000lb bomb became available and 617 Squadron was detailed to use it to attack the Dortmund Ems canal on a low level raid. It was not a success. On the first night, the raid was aborted due to poor weather conditions over the target and David Maltby’s Lancaster came down in the North Sea – an accident that may have been caused by a collision with a Mosquito from 139 Squadron ‘that shouldn’t have been there‘. All eight on board were killed, and only Maltby’s body was recovered. The following night a further 33 aircrew lost their lives when four further Lancasters crashed or were brought down. Over the two nights, 13 of those lost were from the crews who had survived the Dams Raid. The rest were men who had missed the first raid through sickness or who had arrived on the squadron as replacements. In terms of casualties, it would be 617 Squadron’s second worst day of the war, after the Dams Raid itself. I will be writing more about the Dortmund Ems canal raids next week, but today I would like to give you advance warning of three events which will take place in Kent about the time of this sad 65th anniversary. 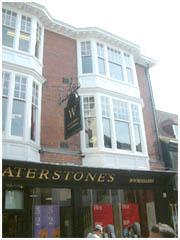 I will be doing a talk at Waterstone’s bookshop, St Margaret Street, Canterbury on David Maltby and his crew. David had many connections with Kent, and I will be showing many photograph, a number of which were not included in my book. 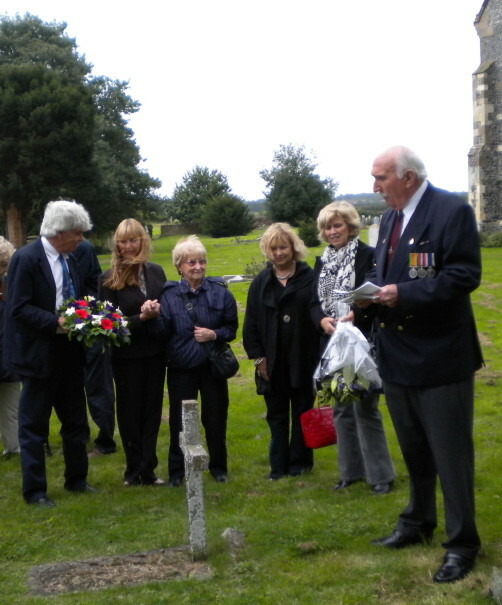 The annual event to commemorate David Maltby and his crew takes place on the anniversary of their last flight, at David Maltby’s grave in St Andrew’s Church, Wickhambreaux, Kent. 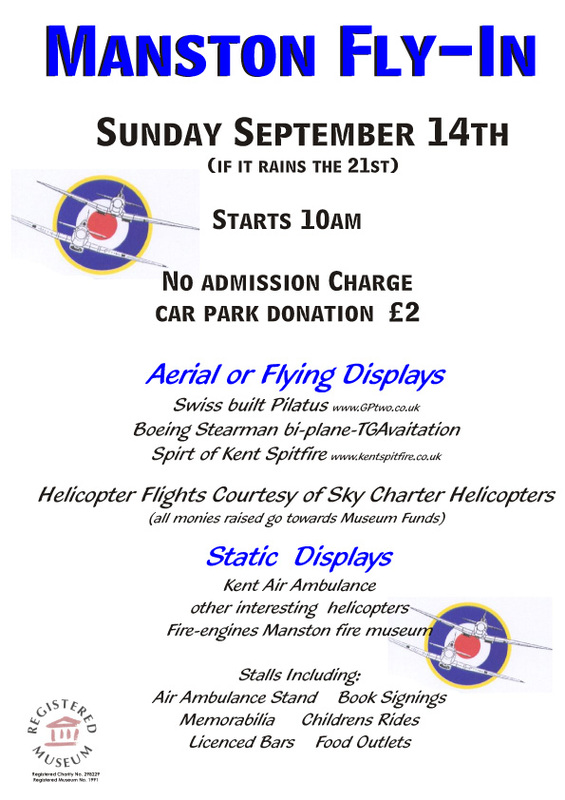 This is organised by the East Kent branch of the Aircrew Association. Members of the Maltby and Hatfeild families also attend each year. Visitors are welcome. A fly-in is being held at Manston Airport, Kent, at which there will be a number of aerial and static displays, other attractions and bookstalls, including one run by your Humble Scribe. If you are in the area, please come and say hello. This event was postponed from the Spring Bank Holiday weekend because of the downpour that took place that day. Let’s hope for better weather this time! These clips are from a History Channel documentary that would appear to have been made in 2003 for the 60th anniversary of the raid. I don’t think that it is available on DVD anywhere (please correct me if I’m wrong) so it’s good to have a substantial amount of it available online. The story of Les Knight’s last few moments always chokes me up. He saved seven other mens’ lives on the night of 16 September 1943, keeping a severely damaged aircraft aloft over the Dortmund Ems Canal while they baled out. How he didn’t get a posthumous VC for this beggars belief.